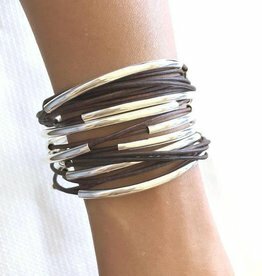 This Ginger wrap bracelet in Metallic Gunmetal leather Size LARGE is ready to ship! 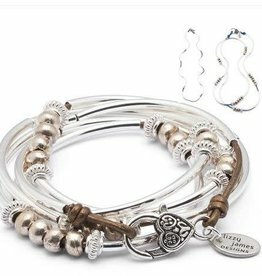 No production lead time if you are in need of that last minute jewelry gift. If your wrist measures 6 5/8" - 7” without slack - your size is Large. 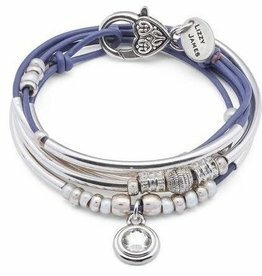 The Essie wrap bracelet is designed to be worn as a bracelet or a necklace. 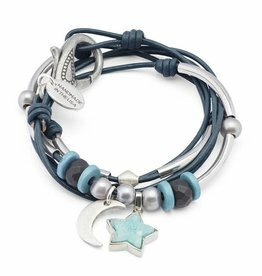 Adorned with freshwater pearls, moon charm and druzy star charm. 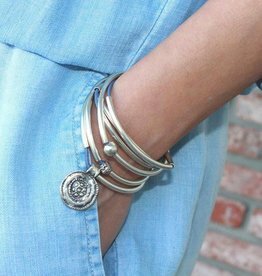 Stackable style and handcrafted in the USA. 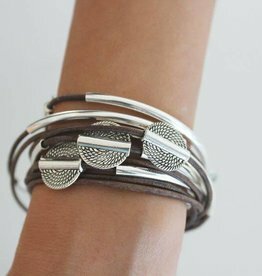 This Mini Addison Silverplate wrap bracelet in Natural Antique Brown leather Size LARGE is ready to ship! 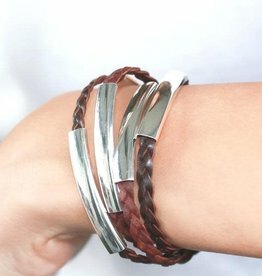 No production lead time if you are in need of that last minute jewelry gift. If your wrist measures 6 5/8" - 7” without slack - your size is Large.